Some of our GAA activity goes indoors this weekend with the first competition in Scór for the season ahead which will take place on Saturday next November 18th with a starting time of 5pm at the Racecourse Killarney where the County Finals of Scór na nÓg will take place. It promises to be a great night of entertainment with the best of music, song, dance and act for all followers of the competition. All winners on the night will then go forward to the Munster Semi Finals to be held in Ovens Community Centre, Cork commencing at 2pm on Sunday December 10th. All participating Clubs are requested to make sure they have their Club registration numbers with the Secretary, Suzanne Ní Laoire before the competition gets underway and also to be in attendance well in advance of the starting time of the evening’s programme. Disciplines for the night are in the following order; Figure Dancing followed by Solo Singing, Recitation and Ballad Group. 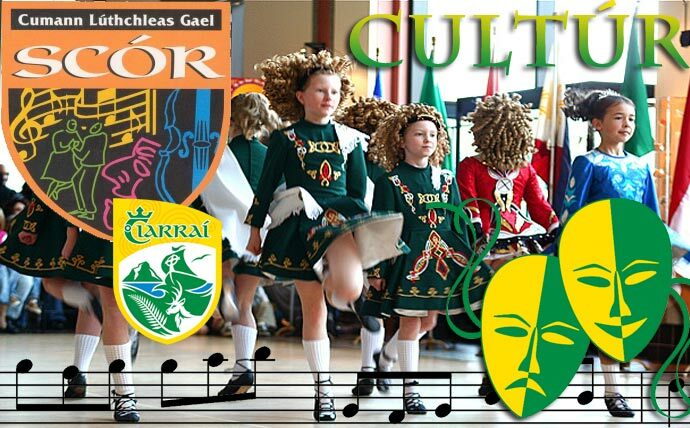 There will be a 15 minute break before finishing off with; Leiriú, (Novelty), Instrumental Music and Set Dancing. Clubs will take part in the following order; Mid Kerry, West Kerry, North Kerry Football, Tralee District Board, North Kerry Hurling, South Kerry, East Kerry, Castleisland District and Kenmare. Competitions shall be run off in the order given.